WARSAW—Two Warsaw men were arrested for burglarizing two residences. 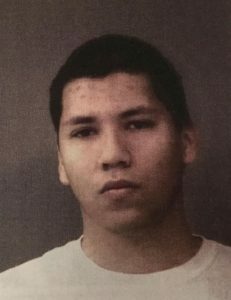 Anthony Andreas Rivera, 19, 2441 W. 250 S. 107, Warsaw, is being charged with burglary, a level 4 felony; and theft, a class A misdemeanor. 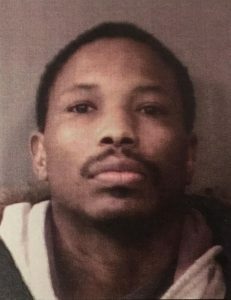 Marcus Deunte Brooks, 34, 2441 W. 250 S. 61, Warsaw, is being charged with three counts of burglary, all level 4 felonies; two counts of theft, both class A misdemeanors; and attempted theft, a class A misdemeanor. On Jan. 8, officers responded to a call of a burglary at a residence in Warsaw. The homeowner said that someone stole two televisions and an Amazon fire stick. Rivera, Brooks and two other subjects went to the residence to burglarize it. According to the affidavit of probable cause, on Jan. 8, Brooks sold two televisions to Cashland. Rivera and one other subject were present. On Jan. 10, officers responded to a call of a burglary at another Warsaw residence. The homeowner said that someone stole an XBox, XBox games and jewelry. Officers also learned that on Jan. 10, Brooks sold an XBox, XBox games and jewelry to Cashland. According to the affidavit of probable cause, Brooks and another subject were the only individuals involved in the second burglary. They attempted a third burglary at a Warsaw residence, but upon breaking in, they found a sleeping resident and fled. On Jan. 10, the resident received a text from Rivera, who asked if he was at home. The resident said that in December 2017, he had received a text from Rivera and his residence was broken into and a PlayStation was stolen. Rivera and Brooks were booked into the Kosciusko County Jail on Feb. 8, each with a $15,250 surety and cash bond.